Content Management System (CMS) is a sophisticated tool for the management of content on websites by the site administrator without needing the expertise of a web programmer/developer. An effective content management system development is a critical requirement today for large enterprises maintaining websites with a real high rate of updates frequently. Typically well developed content management solutions allows the content administrator (who may or may not have technical experience or HTML knowledge) to manage the creation, change, and removal of content from a website. Searching for trusted CMS development company India that can provide secure & consistent CMS solutions then approach Cognus Technology now! 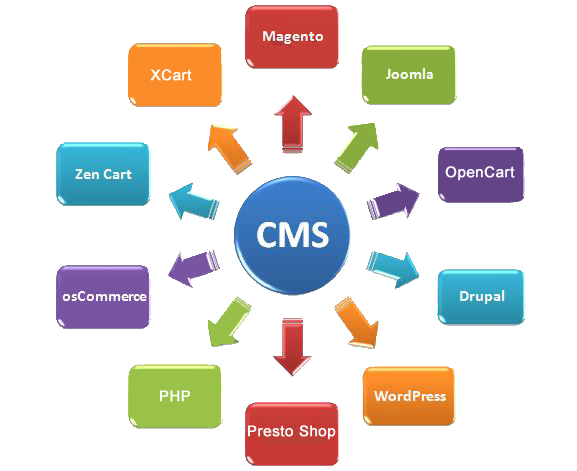 The features of CMS may vary from client to client as per the bespoke specifications but majorly it includes web-based publishing, categorization, format management, indexing, search, and retrieval. We work upon various frameworks like WordPress, PHP, Drupal, Joomla, Magento,etc. Our content management solutions can take your static website as input and give as output a powerful business tool. With simple training, non-technical users in your organization can post fresh and appealing content without any techy experience. Pages with texts, images and video can simply be published or copy-pasted into the WYSIWYG editors. Let the full potential of your content go public, with no more relying on technical professionals to update everything from modifying homepage content to adding new posts. It reduces the publishing times and saves costly bills incurred on agencies. We built customized CMS sites as per your requirements and budget - as & when your organization grows so your site expands. Based on industry standard we offer full scale solutions to add or develop tailored components to suits clients needs. Easy to use MS Word-type visual editing system for web page authoring and editing including effect of fonts, line breaks, bold, italic, underline font, justify and bulleted font controls, nested tables, hyperlinks, bookmarks, simple asset management system for image/video/PDF giving you as a user the ability to visualize what you are producing. Multilevel access control through encrypted authentication of passwords allows securing of both administrators and users privileges. We integrate different levels of security for groups and individuals for site administration and for serving sensitive content to the users. Our experts create a CMS that allows you to share and distribute web content through social channels and professional online networks button integrated in the CMS. Make your content accessible to a wider audience by using spectrum of technologies such as blogs, affiliates, RSS and xml feeds along with social networking sites like Facebook, LinkedIn, and Twitter to name a few. Our web content management system services offers the development of sites that are completely SEO friendly with indexable URLs and pages, W3C friendly and dynamic Google and xml site maps and auto generating Metadata with override control. We give you full access CMS techniques and secrets for simple to complex systems, so no more paying to third party agencies for managing website content that you can do yourself. So! If looking for CMS development company India, Why not contact us now for a quote!